Shortly after I hired Phil, the man who would become my husband, the first sushi restaurant in New York opened across the street from our office. He became entranced by the slices of fish glistening like jewels, and it has been his favorite food ever since. To celebrate a “big” birthday, I planned the ultimate sushi tour of Japan. After a 12-hour flight, we had artistically arranged sashimi platters at the hotel, a wise choice since I was so overwhelmed by jet lag I fell asleep with chopsticks clenched between my fingers. The next day, when sushi pangs interrupted shopping, we found a restaurant on one of the mall’s top floors. We made a rookie mistake by handing the moist towel back before discovering that in Japan it’s the napkin for the entire meal. A visit to a fish market in Japan is one start to a tasty lunch. Photo courtesy of Philip Courter. Early the next morning we toured Tsukiji, the largest fish market in the world. Dodging the zippy turret trucks, we watched master carvers slicing 500-pound tuna with sword-length blades and exacting buyers placing orders for more than 400 species of seafood. For breakfast, our guide took us to Sushi Zanmai, Japan’s first 24-hour, 365-day-a-year sushi restaurant, where we ordered a platter of three grades of tuna to compare and contrast. The fattiest, called otoro, actually melted in my mouth. That night we were so exhausted we decided to have dinner in our room. We followed the signs to an underground food hall and were dazzled by the array of takeout sushi boxes. Phil picked a sashimi combo while I decided on another scrumptious selection of tuna at half the price of the one that morning. Our expedition continued on a Diamond Princess cruise around the archipelago’s more than 6,000 islands. With half the passengers from Japan, the ship had a dedicated — and excellent — sushi restaurant on board. In the Kushiro fish market we bought rice in a takeout bowl and then selected local delicacies from various fishmongers, spending only $15 each. Our guide in Akita planned a full day of touring samurai villages and the national park with the only stop at 7-Eleven for snacks. Fortunately, there were tempting boxes of sushi, which we devoured while relishing the mountain foliage. Back on land in Kyoto, we tried conveyer-belt sushi, where different colored plates revolve past diners seated at the counter. I kept my eye out for the fat-streaked tuna while I indulged in salmon caviar and sea urchin. A server figured the tab by adding up the colors on our tower of empty plates. The next day our guide took us to a nondescript doorway and insisted we order the chirashi, a large bowl layered with tuna, sea bream, conger eel, squid, and octopus tucked under a “crust” of shredded sweet omelet — all for less than $10 each. 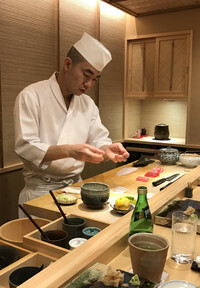 The chef at Sushi Iwa in Tokyo prepares a meal. Photo courtesy of Philip Courter. For our last night in Japan we snagged a reservation at Michelin-starred Sushi Iwa in Tokyo. There were six seats at the sushi bar and only three other guests. Although we had been warned that in high-end restaurants gaijin – foreigners — inevitably make etiquette mistakes to the chef’s disdain, the ambience was relaxed and the chef spoke English. 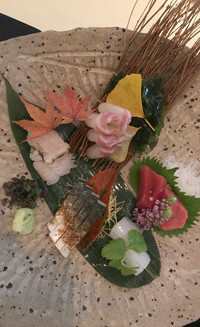 Besides, we knew to eat the pieces in one bite, only dip in soy sauce when instructed, use fingers for sushi, chopsticks for sashimi, and say “oishii” to show appreciation for the phenomenal quality — and to keep the moist napkin! 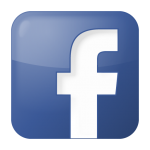 How can I describe the 25 different courses? I’ve had salmon roe, but never these translucent orbs that tasted like seawater as they popped in my mouth. There were three kinds of eel, the sweetest baby shrimp and black tuna that is too precious for most restaurants. I swooned over the steamed abalone that burst with a natural salt-and-butter flavor. Phil relished the generous portion of a golden sea urchin’s briny custard. An Autumn Sashimi platter provides a tasty and colorful treat in Japan. Photo courtesy of Philip Courter. “It’s as if I never really tasted sushi before,” he said, as excited as when he had his very first bite so long ago. On the way home (over a sashimi appetizer on the plane), we agreed that there is good sushi and fabulous sushi, but nothing compared to the sublime experience of his ultimate sushi birthday splurge. Keep the wet cloth — you won’t get another napkin. In Japan miso soup and rice are served at the end of the meal, never the beginning. Following are some of our sushi places in Japan.